These have to be the ultimate cut in warm weather. Pioneering Holster Pirate trousers made in durable rip-stop fabric. Features an advanced design for maximum ventilation and comfort, superior knee protection now taking the normal knee pads, Cordura® reinforcements and a range of easy-to-access pockets. 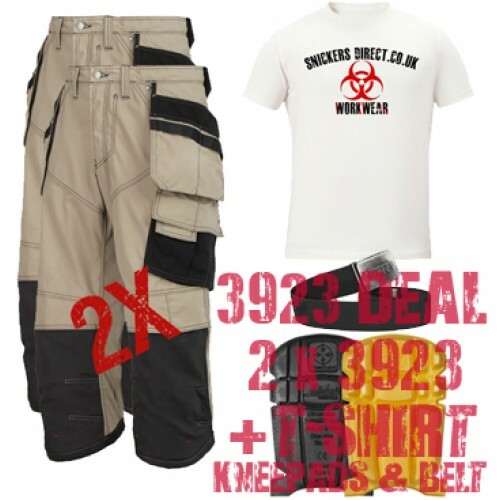 Features of the Snickers 3923 Holster Pirate Trousers.